A rock star and a model – how novel. 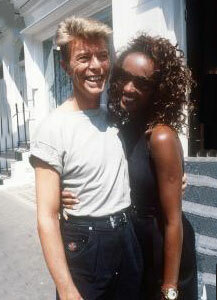 That year, David Bowie was beginning to make waves with the model Iman, who didn’t even register with me at all. I barely payed attention to such things. As far as I knew of it, it was yet another rock star dating model scenario. Move along. I never followed any of Bowie’s dallances earlier and I was not about to begin doing so now. I was far more interested in the exploitation of Bowie’s RCA catalogue on Rykodisc. Every few months brought forth either a small group or a single reissue. As 1991 rolled through, the two Bowie albums that I was most eager to get finally hit the bins. That Summer came “Low” which was immediately purchased. This album still sounded futuristic, even 14 years later. The fragmented, deconstructed technopop side still reflected a shattered state of mind and the “difficult” instrumental side became very common in the post-Eno era whereby ambient became a widespread genre of sorts. 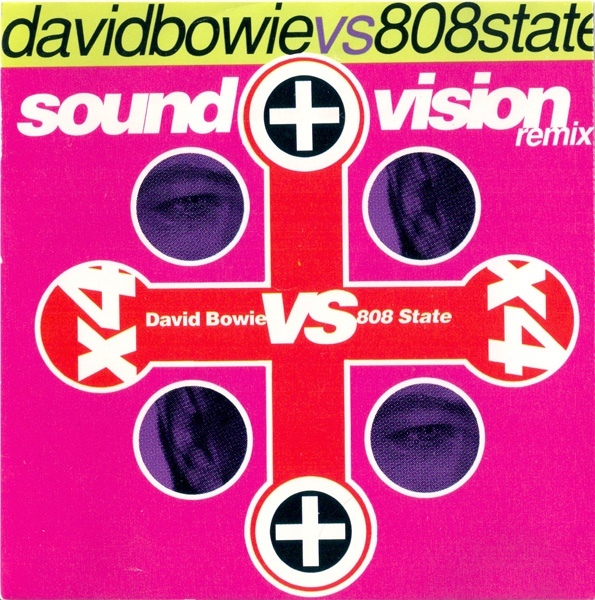 The bonus material here was capped at the high point by “Some Are;” an excellent vocal piece that would have almost sat on side two, had there been anything but expression vocals, and the instrumental “All Saints.” The low point was duly represented by the 1991 post-modern remix of “Sound + Vision” by David Richards. Hackwork filler of a low grade. Speaking of which, this thing was also issued that year. I had never paid attention to 808 State in spite of hearing the praises sung in the UK press of that era that I still read [Q, i-D]. So, I ignored this as well, seeing that the awful remix from Richards was here too. Once, which I was visiting chasinvictoria, I saw that he had a copy. I asked him to put it on. Having heard it once, I never bothered to do that again. Now this was more like it! This was my go-to Bowie album and now I could finally listen to it on the sound carrier unit of my choice. I played this one as if it was a new album all over again. The bonus material here was non-essential. The undeveloped instrumental “Abdulmajid” [named after Bowie’s inamorata, who only used her first name] was not much to write home about, but beat the David Richards 1991 remix of “Joe The Lion” which had been drug, kicking and screaming, into the 1980s. It was atonishing how “updating” something could make it sound far more dated, but it’s possible. No matter. My favorite Bowie album was now finally ensconced in the Record Cell, though I would have preferred the US promo extended 12″ version of “Beauty + The Beast” as bonus material. No one asked me, sigh. 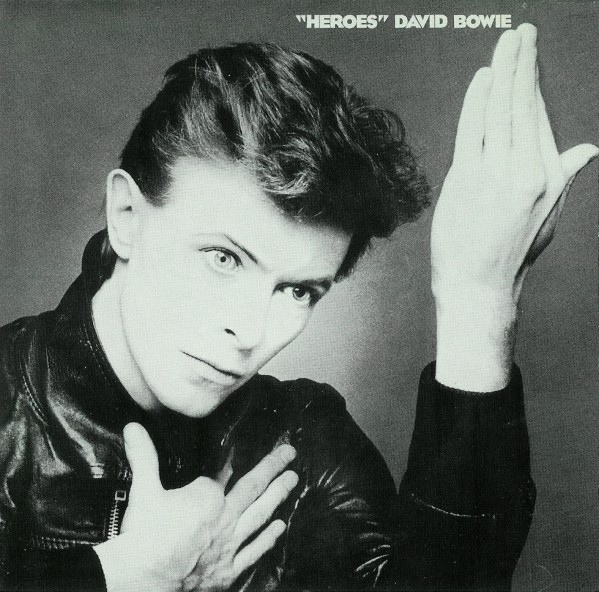 This entry was posted in Bowie, Core Collection and tagged "Heroes", 1991, David Bowie, DLX RM, Iman, Low, post-modern remix, Rykodisc. Bookmark the permalink. *a trend I’ve never understood where there are so many mediocre/average movies that could have been made great with more script or execution passion. Ah the rocky road into the dark mountains that is the path of “po-mo” or updated remixes. If just 10 percent were worthy of the effort it would be sort of ok, but alas that is a high number. Iman and Bowie were high on my radar in 91. Being in the celebrity photo business they were “money.” Bowie attended a party at Limelight Nightclub with Iman for some organization they both supported and I got to see the genuine happiness they projected together. It was obviously a strong bond until the end. I have to agree Monk, Rykodisc or the project directors of the reissues didn’t really do everything they could to get the fans music they needed. I think the opportunity to possibly chart the discs or spur interest with something current overtook the better intentions. As for Low, the shift in sound, the deconstruction of music and lyrics from the almost overly developed motifs of Stationtostation are kind of staggering, yet they are very understandable if the personal and artistic sides of Bowie entering 1977 are considered. This is music that requires a backstory on some levels, but still creates mystery in it’s sudden shift of direction. I sometimes listen to Low and Heroes in tandem and come away thinking Heroes is the more experimental work – it is the more difficult one for me. Something about Low grabs hold of me. Heroes taunts me at times, daring me into its sound constructs and lyrical vision. I take the challenge every time and still find new things in the songs. Echorich – As you take the Low/Heroes/Lodger journey the artistic goals of each one are set out further into the periphery than the preceding album. You’re right. 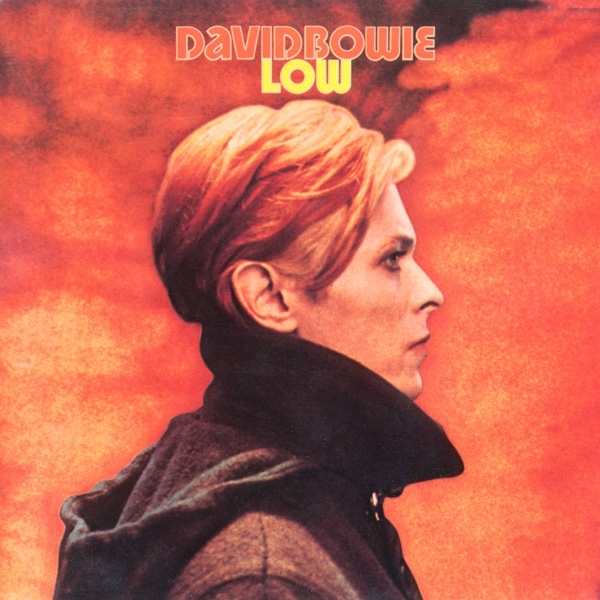 “Low” was immediately graspable and it was always difficult for me to comprehend the confusion that met it initially in the marketplace, even if I did hear it three years after its release. “Heroes” was more impenetrable. Unless you knew what “Joe The Lion” was about (Chris Burden) I can’t imagine parsing the song at face value to find out anything. The mystery of the album [plus Fripp] hits my sweet spot something fierce. The most impenetrable one of all to me was “Lodger” even as it was closer to being the conventional “rock” album. Of course, don’t forget “Scary Monsters,” the fourth album of the “Berlin Trilogy” and the only one lacking Eno. I think part of what makes Lodger so special for me is the boldness of Bowie making a conventional album using the experiments and pathways of Low and Heroes. This is why it doesn’t the love it deserves. Critics and fans weren’t ready for accessible Bowie to actually inaccessible Bowie, or Bowie that required backstory. I find Lodger vibrant, freeing. It’s immediate and purposeful in a way that only an artist like Bowie can achieve. And yes, Scary Monsters is born out of the new confidence of Bowie after the Berlin Trilogy making it really a part of or offspring from that musical triptych. I remember the thrill and shivers I felt hearing ‘Some Are’ for the first time…truly stunning. Although a lifelong fan of Philip Glass,I never got into the Bowie album he did which includes an arrangement of that track. Gavin – I once saw Philip Glass in concert in 1985 at an arts cinema in Orlando, Florida [a.k.a. a cultural wasteland]. I still can’t believe that it happened! It was the best sounding concert I’ve ever heard, too. Most shows don’t have Kurt Muncaksi at the soundboard! Not to crow too much about it, but I’ll be seeing a Laurie Anderson/Philip Glass concert at the Big Ears Festival in April. Like you, I never got the “Low Symphony” album, even though I immediately bought The Balanescu Quartet’s Kraftwerk cover album [“Possessed”] and played it incessantly in the 90s. Yes,I bought the Balanescu Quartet cd at the time too,even got to photograph them once for a magazine.Do you have the Senor Coconut album of Kraftwerk covers?Its dreadful! Oh, I’m a huge Glass and Laurie fan of course,very jealous of your gig..though I saw Laurie play a couple of times in London and Edinburgh over the years. Gavin – What little I’ve heard of Sr. Coconut has suggested a penchant for whimsy. 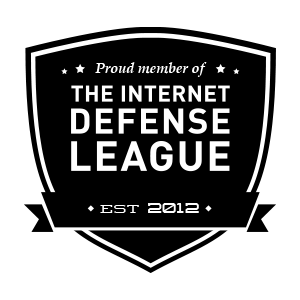 I have to confess that I tacitly approved, though I may have heard only one or two numbers over the years. Dreadful, you say? What I do need to hear is the Yamo album. I’m curious.